We have two blended (pure or vatted) malts in our range. 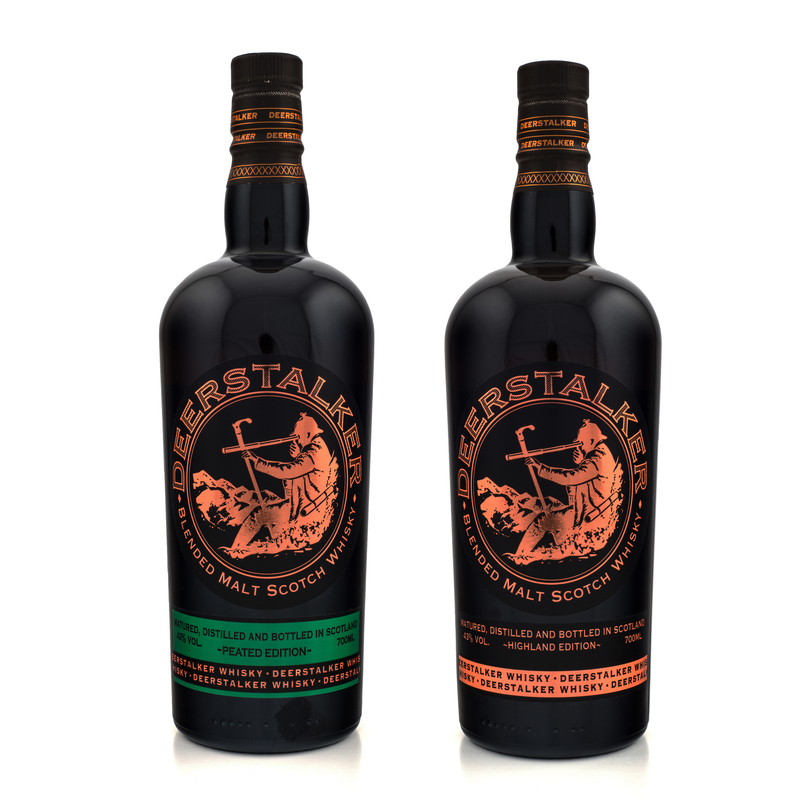 These represent a combination of some fine single malts at differing ages taken back to cask for a minimum 7 months. Ages range from 5 – 11 years. The result is a balanced whisky, identifiable as Highland in origin, with a balance and smoothness that makes it accessible to a wide cross section of whisky drinkers. 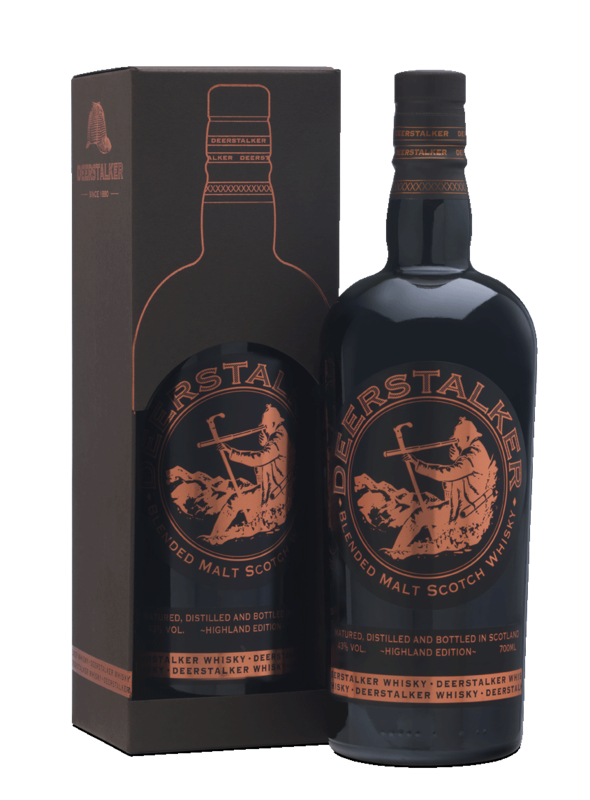 The packaging features antique green glass with the Deerstalker image prominent. 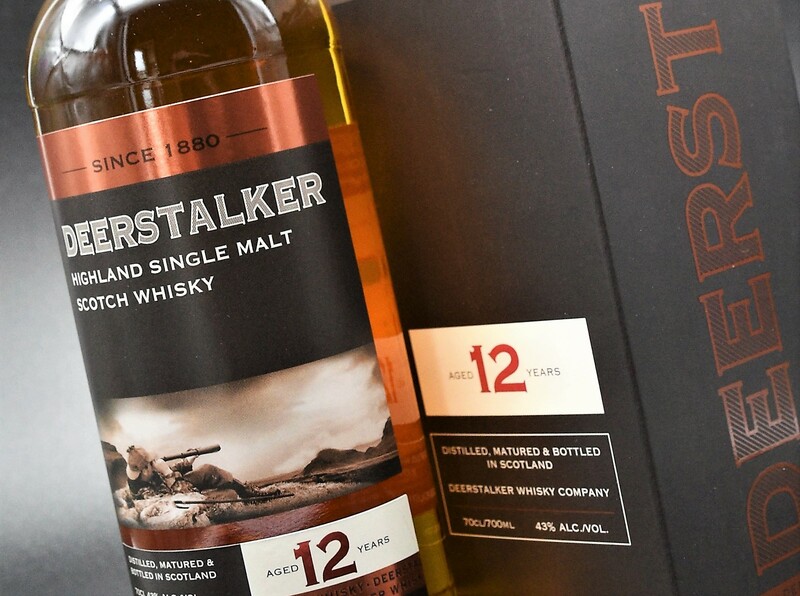 The iconic deerstalker hat appears on our bottle with the stalkers tale. Single malt whiskies taken from Highlands and Islay. At different ages and levels of peatiness. 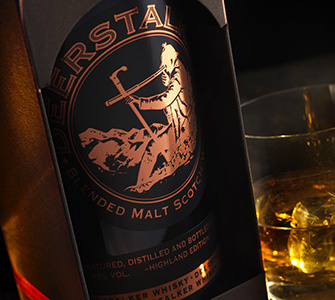 Master distiller and blender John McDougall carefully selected a number of peated single malts. 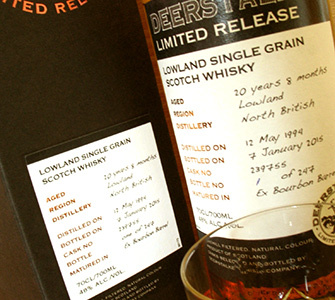 His task to bring the best out of these whiskies in the creation of our first peated Deerstalker whisky. Left to marry in Ardmore casks the level of PPM is 19 . Approachable, fresh fruit on the nose then moving into a richer peat but never overpowering.